This is the 49" Geralt The Witcher Steel Blade Replica Sword with Scabbard. The Witcher III steel sword is crafted from stainless steel and emulates the blade from the best selling property. 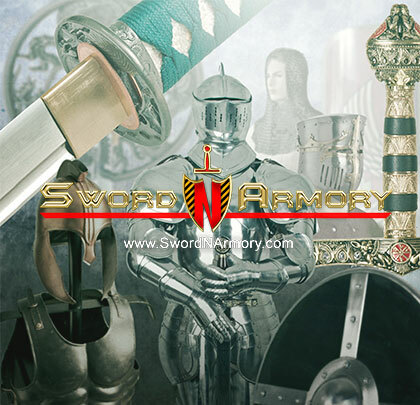 This sword comes with a nice scabbard that has a harness allowing you to wear this sword on your back. It features a large fuller down the length of the blade as well as a traditional cruciform guard. Rounding out Geralt's sword is a wolf decorated pommel just like in the game! This sword is unsharpened for costume and decorative use. * This item does not come sharp, it is dull/unsharpened.